In a new documentary video entitled UNRWA Goes to War, journalist David Bedein builds a seemingly incontestable case against UNRWA, showing the close symbiotic relations between it and the terror group Hamas. The video shows that not only did UNRWA schools serve as repositories for rockets in the last Gaza war, and not only were rockets launched from places adjacent to UNRWA institutions – the students at the schools are themselves educated to hate Israel and aspire to destroy it. Bedein launched a scathing attack on UNRWA in a video he produced and published three years ago, earning a furious rebuttal from the UN group. “While the UNRWA slogan is 'Peace Starts Here,' a more appropriate slogan would be 'War Starts with UNRWA,'” the film charges. 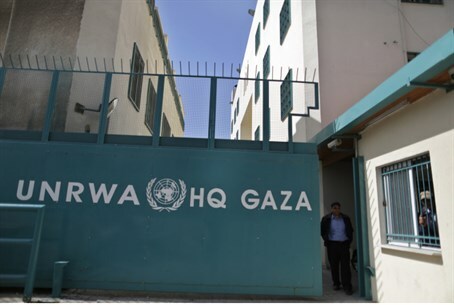 It shows footage of what it says are UNRWA elementary school students participating in military-style displays in plain sight of their teachers, in afterschool activities organized by Hamas. As usual, the question is – is anyone listening?